1. Sublinhe a resposta correta. Helen was/were in hospital yesterday. a) These shoes was /were very expensive. b) That shop was /were shut last week. c) Joe was /were here last night. d) I was/were ill yesterday. e) We was/were very busy two weeks ago. f) Our hotel was/were very clean. h) My parents was/were in Italy in March. i) I was/were very happy last year. j) Kate was/were at home yesterday. 2. Complete as frases com was, wasn't, were ou weren't. a) Victoria was at drama school, too, but she ______________ at my school in Cardiff. b) Tom _____________ in Cardiff from January to April. He wasn't there in May. c) Pedro and I were at the same school, but we _____________ in the same class. d) Mark and Amanda were in Cardiff last year, too, but they weren't at drama school. They _______ at university. e) The course wasn't easy. Last term ____________ very difficult. f) I ____________ happy! I was worried a lot of the time. ** Cardiff é a capital mais nova da Europa. Foi declarada a capital do País de Gales o 20 de dezembro de 1955. Há um século era o porto mais ocupado de carvão no mundo. Hoje, as antigas docas têm sido transformadas em um complexo de restaurantes e atrações aos visitantes. Os museus, teatros e lojas proeminentes significam, o ano todo, diversão e entretenimento. Além disso, seus 330 parques e jardins colocam Cardiff entre as cidades mais verdes do Reino Unido. Em 2017, sediou a final da Champions League, o maior campeonato europeu de futebol. 3. Forme perguntas com was ou were. you / at home yesterday? b) the museum / open? c) Sam / with you? d) why / he / late? f) why / the tickets / expensive? 4. Complete as perguntas com respostas curtas. Was Nikki at college yesterday? a) Was her driving test yesterday? Yes, _______________. b) Was she worried about it? No, ____________________. c) Were you and Daniel at college? Yes, ________________. d) Were Jackie and Lucy there? No, ___________________. e) Was Jackie ill? Yes, ________________. f) Was Lucy ill, too? No, _____________________. 5. 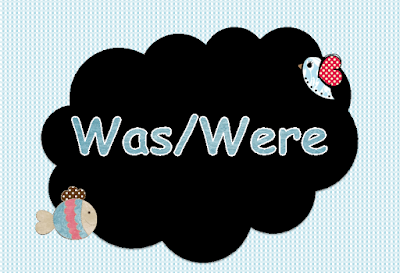 Complete o diálogo com was, wasn't, were ou weren't. A: I _________ at the zoo yesterday with my sister and her little boy. We _________there for his birthday. B: Oh. __________ the zoo nice? A: Yes, it __________. The elephants ___________ amazing! A: No, they __________. They __________ just really big. What about you? Where ________ you yesterday morning? B: I __________ at home. I ___________ very busy.